“Marbella Marbella” at Da Bruno Sul Mare, a Spring Memory | Marbella Marbella – Adelante! This is the official video presentation of the song “Marbella Marbella” – sung by Yanela Brooks, music written by Dario Poli. The party was held at Da Bruno Sul Mare restaurant in Marbella on 22nd April 2009, and was attended by Princess Maria Luisa de Prusia. The event was organised by Dario Poli, Mugge Fischer, Bruno Filippone and Giancarlo Paparusso. 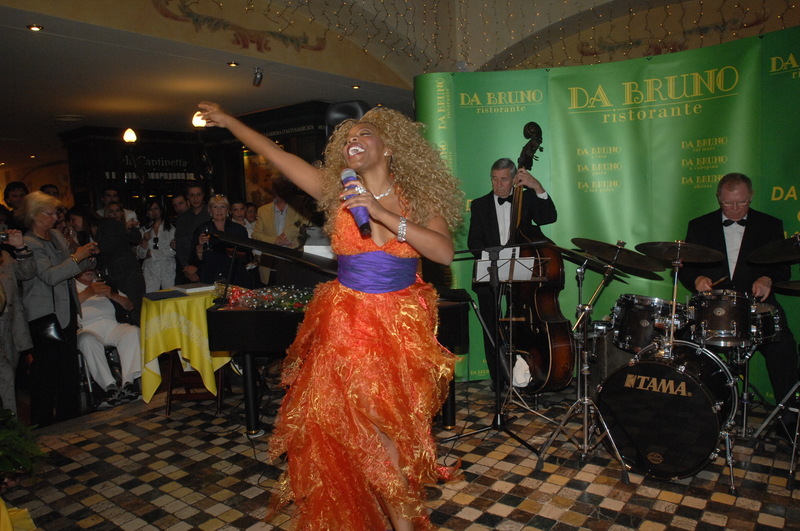 Louis Fiers provided some great jazz prior to the performance of “Marbella Marbella” by Cuban star Yanela Brooks who wrote the Spanish lyrics, and the exciting event was attended by more than 400 invited guests. The idea of the song for Marbella, came from Dario Poli and he wrote the music as part of his campaign to present Marbella in a more positive light internationally, and for his efforts, he received help and recognition from the Town Hall who were in attendance that evening and from some of the business community. 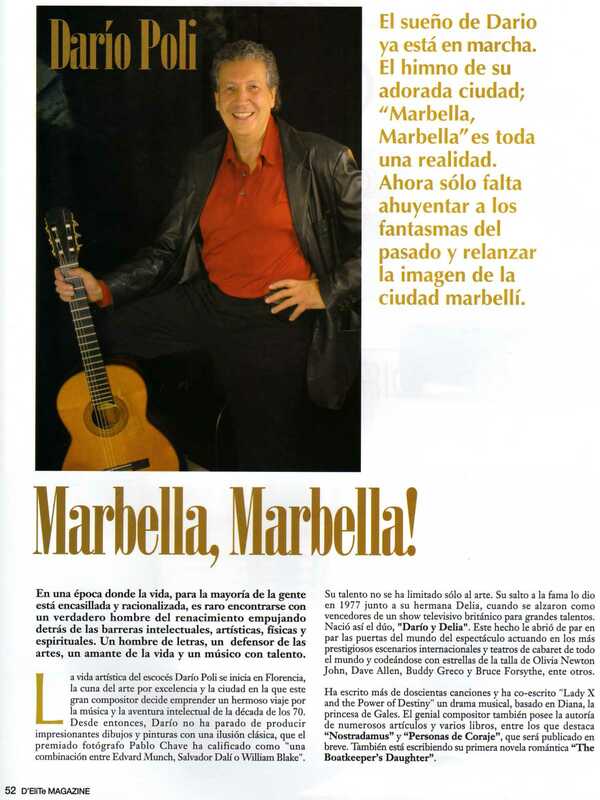 The campaign and the song received much press coverage from newspapers and magazines not only in Spain, but abroad as well as radio broadcasts and interviews. The original English version of the song “Marbella Marbella” was launched some months earlier performed by Scottish star Samantha Mairs at the Hotel Tamisa Golf and was played on numerous radio stations including Radio Clyde FM in Scotland. Singer Alan De Ward performed it live in Germany, Austria, Spain and Luxembourg as well as radio broadcasts. Más de 400 personas estuvieron presentes en la inauguración de la canción “Marbella Marbella” en el restaurante Da Bruno de Marbella el pasado 22 de abril 2009. La canción fue escrita por Darío Poli y cantada por Yanela Brooks (que también escribió la letra en español), fue acompañado por Louis Fiers en el piano. The video was produced by Martin Wood.